In the days approaching the Republican National Convention, it's easy to get confused on who is on the outs with the GOP. While the convention is normally a who's who of up-and-comers and party elders, all anxious to rub elbows and trumpet their ideas, this year, you need a diagram to figure out who is coming, who is staying home, and why. One of the primary Republican figures many have been wondering about is former presidential candidate, Lyin' Ted (as Donald Trump would say). So, will Ted Cruz be at the convention? The Texas senator will make an appearance in Cleveland — and it's looking like he will even take the stage. 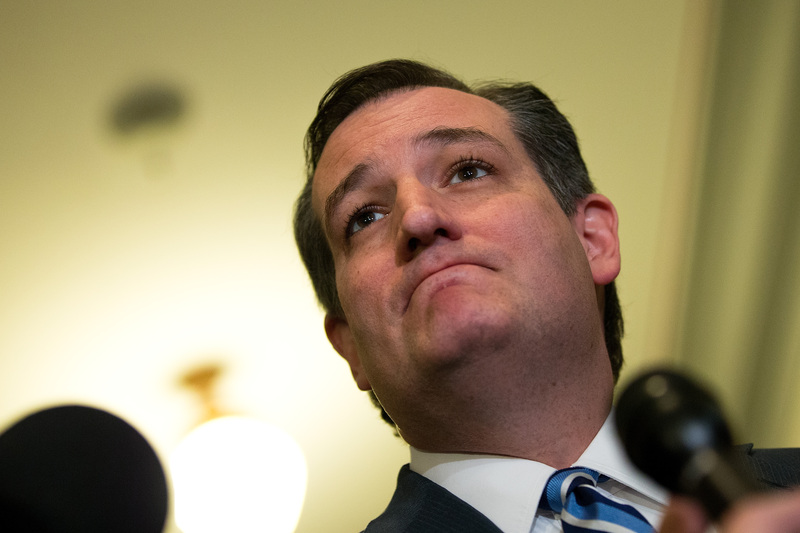 On July 6, ABC News reported that there were no negotiations underway for Cruz to be on the list of speakers at the Republican National Convention, according to the senator's camp. The next day, however, the Cruz camp was singing a different tune. "Sen. Cruz and Donald Trump had a good meeting this morning," read a statement from Cruz's office, which was also posted on Facebook. "There was no discussion of any endorsement. Mr. Trump asked Sen. Cruz to speak at the Republican convention, and Sen. Cruz said he would be happy to do so." That meeting included Republican National Committee Chairman Reince Priebus and was held at the National Republican Senatorial Committee headquarters. Basically, it seemed like Cruz came out ready to put on a smile for Trump at the Republican National Convention, though he kept his endorsement card in tact. The latest reports indicate that, yes, the Texas Senator will take the stage in Cleveland for Trump. Let's talk about that endorsement for a second. Cruz has been decidedly undecided when it comes to endorsing Trump, a man he once called a "pathological liar" and a "narcissist" in an unleashing of anger of epic proportions. Never forget that Cruz is the man who gave the world the nugget, "Donald Trump is such a narcissist, that Barack Obama looks at him and goes, ‘Dude, what’s your problem?’" That is the Republican equivalent of a "Yo Mamma" joke. Things between the two got so heated that wives were brought into the argument when Trump thought Cruz's camp inappropriately used a picture of Trump's wife, Melania. In fact, the photo that started things off never came from Cruz's camp, but an ugly, lowbrow fight ensued. In early May, Cruz dropped out of the race. Tensions seemed to cool, but Cruz continued to withhold an endorsement of Trump. Given Cruz's not so-secret presidential ambitions, the Texas senator may be making an appearance in Cleveland to best position himself for 2020.